Hardscape elements can add much beauty as well as serving a function in your outdoor space. Creating a natural stone patio or walkway can add an extra dimension to your landscaping and can be accomplished in one to two days, depending on the size of your area. There are a series of necessary steps that must be followed in order to ensure the stability and lifetime of your project. Before starting your project, clear your space of any grass, stone or debris and level the area as best as possible. There should be a slight pitch for water drainage, but no more than a five degree slope is recommended. Once the edging and landscape fabric are in place, install a 2-3 inch base for your stone to sit in. Here a 3/4 inch pea gravel base is being used. Rake out the gravel to create a level surface. Now you are ready to lay down the irregular bluestone slabs into the gravel base. A recommended size for the bluestone slabs is approximately 2′ x 3′. Move the stones within the gravel to ensure they are level and comfortable for walking and push the gravel up around the edges. Your new walkway is now complete and ready to enjoy! To construct an irregular bluestone patio, first clear the area of any grass or debris. Level the area and install a base of three to four layers of RCA (recycled concrete) while tamping down after each layer is deposited. A solid layer of approximately four inches is recommended. Afterwards, add a layer of clean sandbox sand and use a level to make sure the area is flat. Once the base is fully prepared, using a stone saw, carefully cut and piece the irregular bluestone slabs together to fit like a puzzle. This can be a bit tedious but better to take your time. Once all the stone is laid, fully clean off any dust or debris and wash down the new patio with a hose and allow to dry. Once completely dry, it is time to brush polymeric sand into the grooves of the stone without getting any onto the surrounding area. The polymeric sand will form a permanent bond between the pieces of stone to complete your patio project. Wet down lightly with a spray nozzle and let set overnight. (Note: Polymeric sand hardens like a cement and will not come off the surrounding patio once set with water. Take caution when applying to ensure the area is clean of any remaining dust or debris.) Once these steps are completed your new patio is ready to enjoy! Following these simple steps will help guide you into creating a welcoming patio or walkway for your landscape to enjoy for years to come. For other design and hardscaping ideas, be sure to check out my book A Guide to Northeastern Gardening, which is available on Amazon. I am excited to announce the publishing of my book, A Guide to Northeastern Gardening: Journeys of a Garden Designer. The idea of writing a book stemmed from my two blogs, A Guide to Northeastern Gardening, which I started in 2010 and this one, A Guide to Landscape Design & Maintenance, which made its debut in 2013. Over the years, I developed a determination to put all my experiences into words in the form of a published book, and in 2013 I started this endeavor. After much persistence and determination the goal that I had set out to accomplish has finally become a reality. The publication is an accumulation of knowledge combined with personal experiences from over twenty years of being a landscape designer, with a focus on landscape design and plants hardy in a range of zones from 3-9. The book derived its name from my original blog from back in 2010 and there is a story to be told about how it came to be. A preview of my book is now online at Amazon and the publication is available in printed format as well as for kindle. I hope my readers will find A Guide to Northeastern Gardening to be both informative and enjoyable, and wish them all the best in their gardening endeavors! When designing I like to incorporate elements into the garden which will give interest all year round, and especially enjoy a burst of color in spring, as do many of my clients. 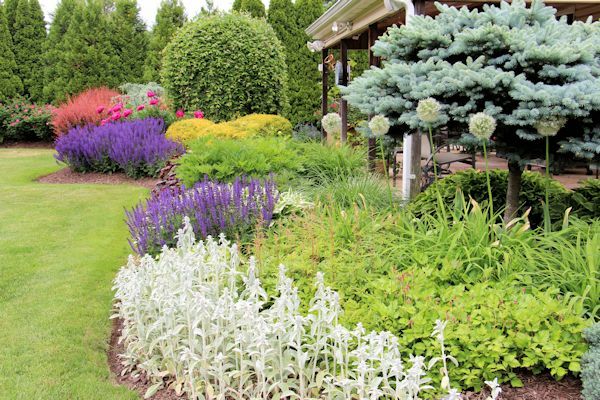 In the above garden I have incorporated colorful evergreens, deciduous shrubs and perennials together to form a flow of color. 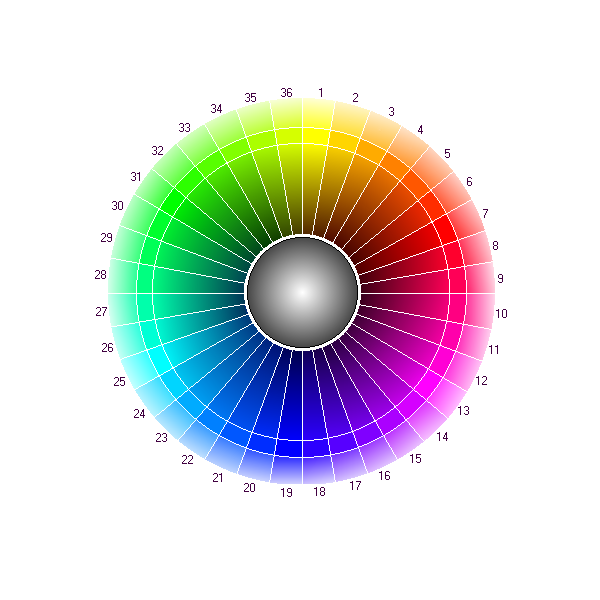 According to the color wheel above, colors opposite one another, referred to as warm or cool colors, complement one another best. When laying out your garden try to combine warm colors (such as yellows, reds and pinks) with cool colors (including purples, blues and greens) and repeat the theme by using the same color combinations throughout the garden. This creates unity and flow throughout the landscape. 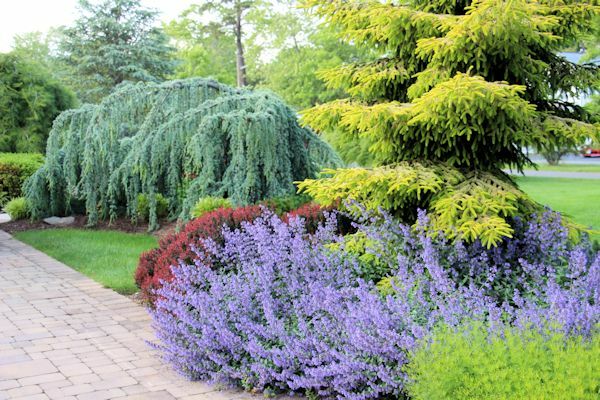 In this driveway planting the cool blue hue of the Weeping Blue Atlas Cedar complements the warm hue of the Golden Oriental Spruce along with ‘Royal Burgundy’ Barberry, Nepeta and Coreopsis, The nepeta (cool blue-purple) and coreopsis (warm yellow) will bloom profusely throughout the entire summer against the burgundy foliage of the barbery. 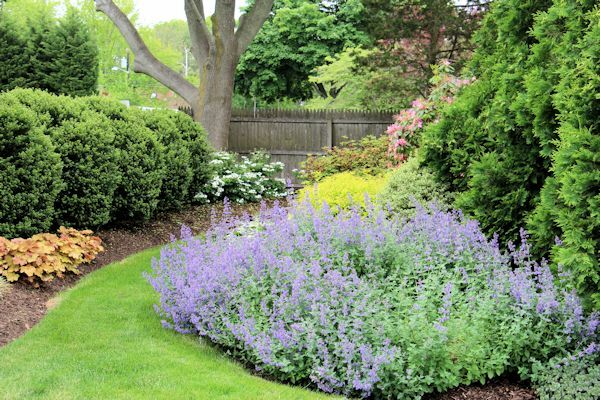 Here Nepeta ‘Walker’s Low’ is used along with a backdrop of evergreens and Gold Mound Spirea. 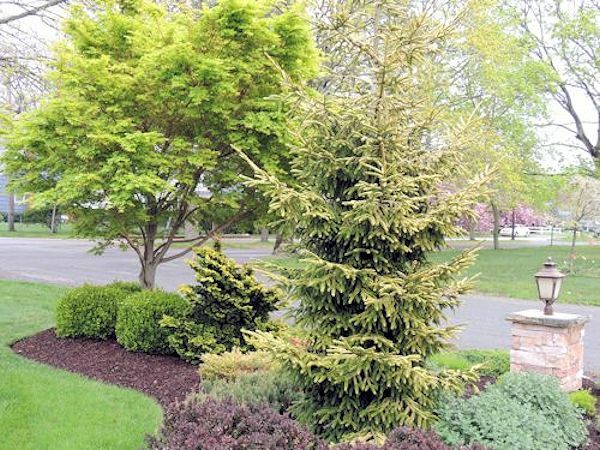 Again the combination of warm and cool colors is used along with evergreens, which provide structure in the garden. 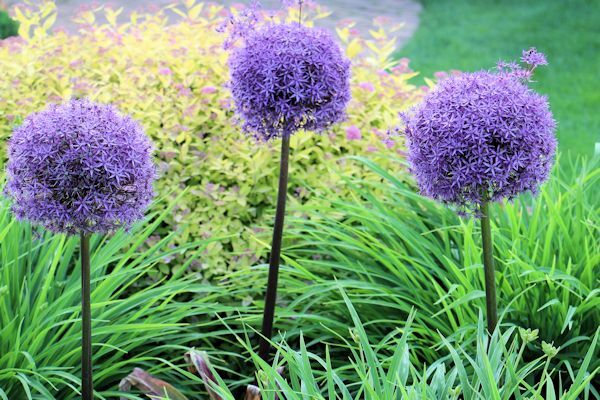 In order to supply additional interest in spring and summer bulbs can be used to incorporate large blooms, such as these giant Globemaster Allium, which display eight inch blooms on top of two foot stalks and rising above the other plants in the garden. A tip on planting bulbs would be to incorporate them along with other perennials that have full foliage as to hide the yellowing foliage of the early bloomers. Here I masked the bottom foliage of the Allium with the lush green foliage of Daylily, which will jump into bloom afterwards. When designing a garden for all seasons it is important to include cultivars that have both good structure and eye-catching bark or foliage. Coral Bark Maple (Acer palmatum ‘Sango Kaku’) is one of my all time favorites on all accounts. Coral Bark Maple is a vase-shaped deciduous shrub or small tree that is native to Japan, China and Korea. Hardy to zones 5-8, this beautiful specimen grows to a mature height and width of approximately 15-20 feet and displays delicate palmate lobed leaves that are approximately 2-5″ in length and almost fern-like in appearance. The Coral Bark Maple is considered to be one of the most prized of the upright palmate maples during the winter months for its stunning coral-red bark that appears after the leaves fall. The name of this cultivar, ‘Sangu Kaku’ means coral tower (sango meaning sea coral and kaku meaning tower) as if to suggest this lovely pink-barked specimen resembles coral rising upward from a reef. 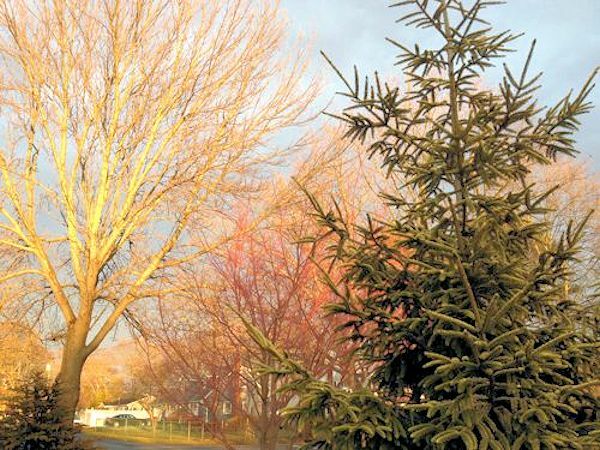 The foliage display starts in spring when leaves emerge as a beautiful yellow-green with red edging and small reddish-purple flowers are an added surprise when the tree is viewed up close. 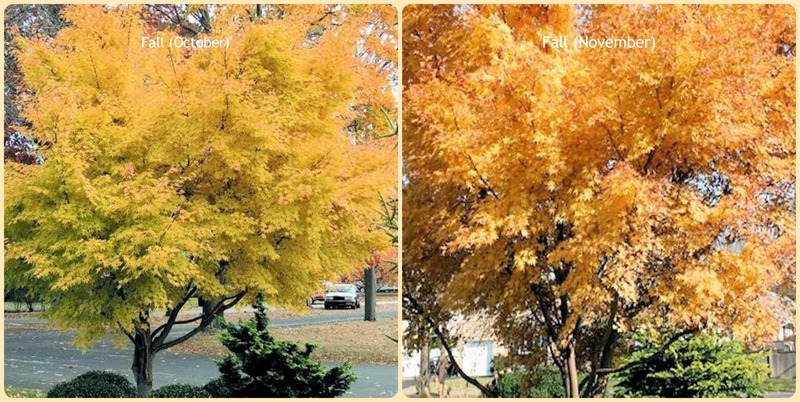 As the season progresses a succession of colorful foliage continues to occur. In the summer months once yellow-green foliage with red tips turns to light green and the insignificant flowers are followed by samaras that ripen in late summer. In autumn the show continues as the foliage turns to an amazing bright golden-yellow and then to a fiery orange before the leaves drop. The coral-red bark is visible as the temperatures and leaves fall and the show continues throughout winter and can be striking against a backdrop of snow. Acer palmatum ‘Sango Kaku’ prefer to be grown in full to partial shade and should be sheltered from harsh drying winds. They prefer a moist, organically rich, well-drained soil but are adaptable to a variety of soil types. Coral Bark Maple requires little to no maintenance but should be monitored for insects or disease on a routine basis as one would with any prized landscape tree. Best pink coloration appears on young branches. In order to stimulate new growth of stems with better pink coloration the tree can be occasionally pruned. Since Japanese maples are generally grown for their attractive foliage and shape, ‘Sango Kaku’ is best served as a focal point in a location where the beautiful pink bark in winter and colorful foliage can be appreciated. It will fit into just about any type of landscape whether a foundation planting, formal or informal garden, grouped in a perennial/shrub border or as a single specimen and will bring years of enjoyment to you outdoor space. 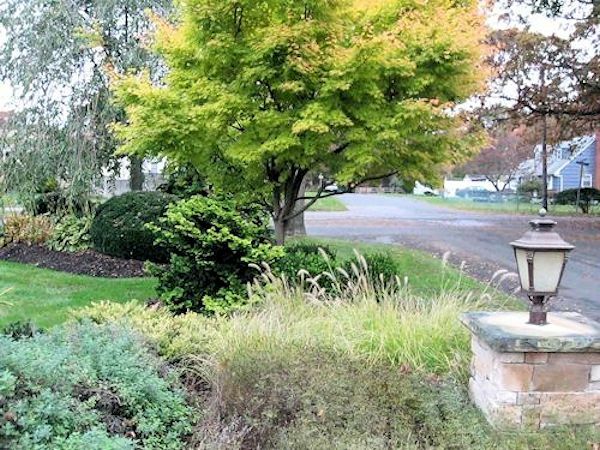 This is such a beautifully written and informative article written by Sue Gaviller and Not Another Gardening Blog on the elements of landscape design, that is just too good not to share! Last month, a reader posted a comment recommending a couple of articles she thought might interest me – one written by author/garden designer Rory Stuart and another by garden photographer Charles Hawes. Both were discussing issues related to garden photography and both gentlemen brought up the point that gardeners seem to want their gardens viewed (and photographed) only when they look their finest.